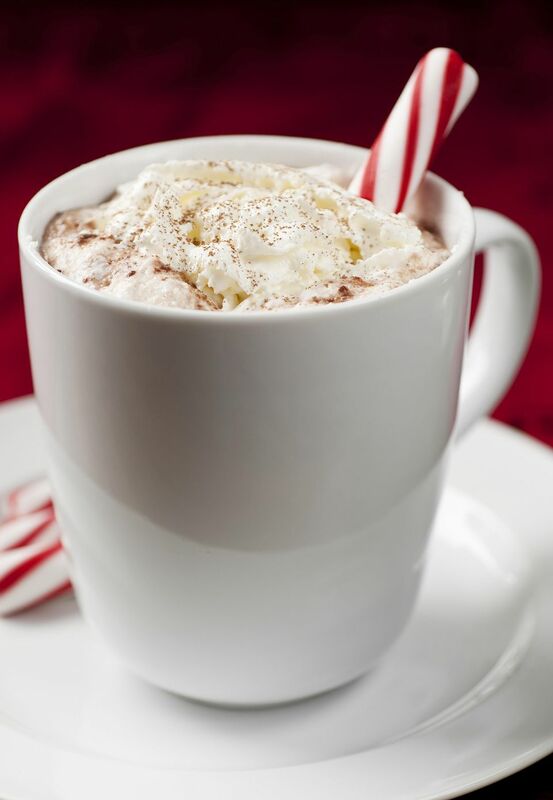 Hot chocolate is a favorite wintertime treat, perfect to enjoy fireside or after a few turns on the ice rink. We are most familiar with a dark or milk chocolate drink, but for something different and just as delicious, try a white chocolate version of this hot, comforting beverage. It is not only sweet and satisfying but also a cute, little (inexpensive) present to give at holiday time; put the hot chocolate mix in a clear bag, tie with a ribbon, and match with some pretty mugs, stirring spoons, and napkins, all snug in a gift basket. In a small bowl, make the white hot chocolate mix. Combine the white chocolate, pudding mix, vanilla powder, and orange peel. In a small saucepan, heat the milk until bubbles form around the edges and steam rises from the surface. Don't let the milk simmer or boil. Add the white hot chocolate mix to the milk and whisk until the chocolate is melted and the beverage is blended. Pour into individual mugs. If desired, garnish with whipped cream, a sprinkling of cocoa powder or ground cinnamon, or crushed or whole candy canes. Serve immediately. This recipe is really decadent and delicious because white chocolate has a low melting point. In fact, it softens at body temperature, around 98 F. That is why it has such a luxurious mouthfeel. But because of this low melting point, the white chocolate can turn into a puree when grating it. Freezing the chocolate will help keep it from getting too soft. To easily grate the chocolate, freeze it first, and then grate it on the fine side of a grater. Alternatively, you can cut the frozen chocolate into fairly small pieces and then grind in a blender or food processor. If you'd like to make the hot chocolate mix to use later or give as gifts, you can store the mix for future use in an airtight container in a cool dark place. Once you make this white hot chocolate recipe, you may never want to go back to traditional hot chocolate again—especially if it's from a box! Good thing is there are so many ways to prepare this quintessential cold weather drink, from adding a bit of liqueur to spicing it up a bit. You can make it taste like a candy bar, your favorite cake flavor, or even turn it into a whimsical treat that any 8-year-old girl would love!